My passion for baking has increased tremendously lately. However I haven't reached the level of accepting orders yet because I haven't reached that confidence just yet. When people order from you, they have a certain expectation from you and I am scared that I am not able to meet their expectation. 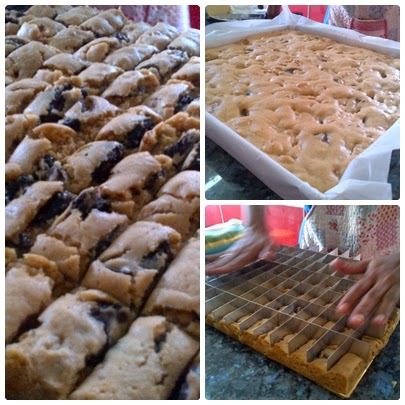 It is different when you bake simply and give people to eat because people didn't expect anything. When people pay you to do something, they expect it to be good. 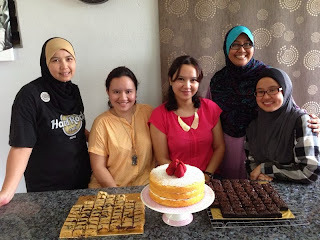 I am still learning so when my sister asked if I wanted to join a baking class which her friend conducts, I said, why not? How can you say no to gaining knowledge, right? And what better way to improve yourself if not through learning from an expert? So on Maal Hijrah, we went to my sis's friend's house to learn baking congo bars, brownies and victoria sponge. 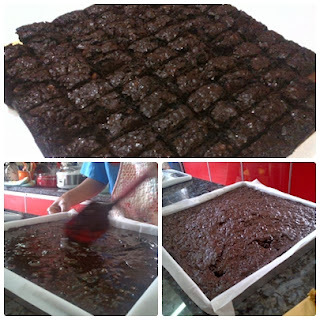 This brownies recipe is amazing, very rich, moist, chewy, decadent and chocolatey! Congo bars is a rich fudgey cake with rich chocolate and so sinful especially when eaten warm when the chocolates are melted. 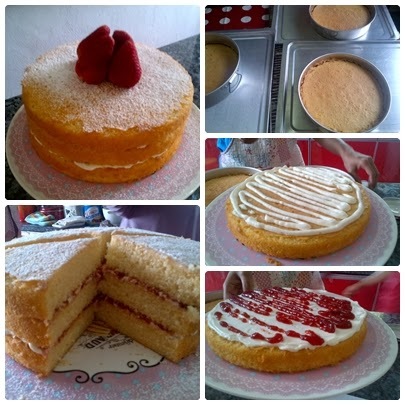 Victoria sponge is a 3 layer vanilla sponge cake (of course you can make it 2 layers if you like) with cream and strawberry jam filling. This cake is so spongy, moist and the combination of strawberry jam and cream makes it fresh and uplifting and not too rich. This type of cake is perfect for tea. However make sure the cream and strawberry jam are not too sweet. 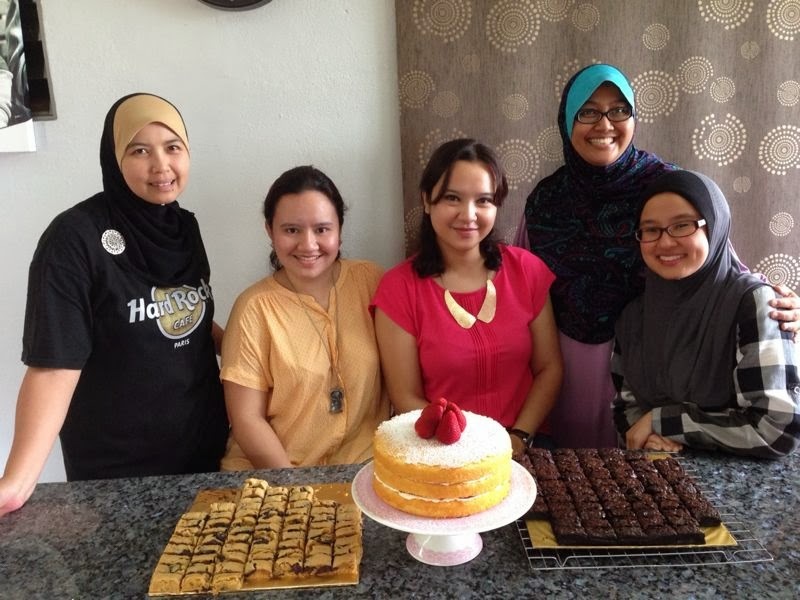 We attended the class together with three other ladies, all baking enthusiasts. This is a pic of us with the stuffs that we learned that day. Now, who wants to order from me? hehehe.